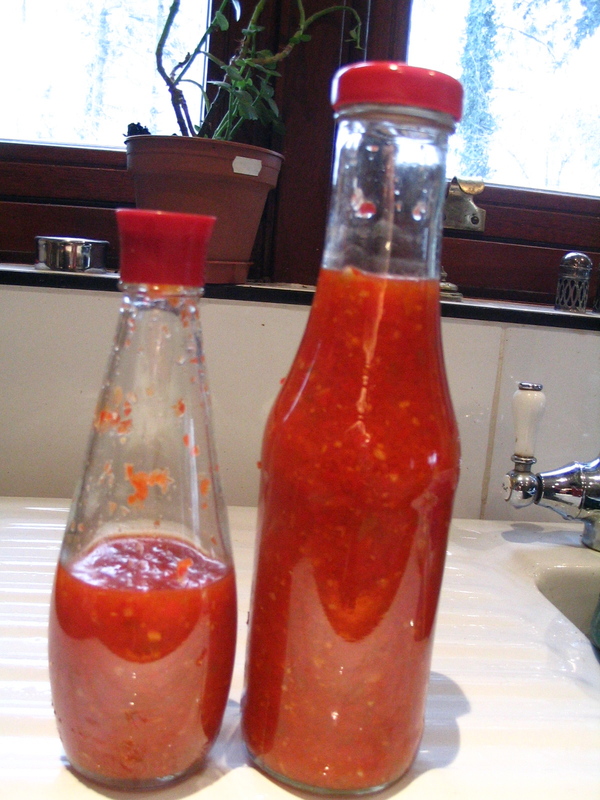 This is the sauce I made last week…. it is absolutely divine! I got the recipe originally from the Irish Times a couple of months back – I’m sure it is a Domini Kemp recipe. The first time I made it, I started out making half the quantity but forgot half way through that this is what I was doing, so added the full quantity of sugar… it made the best Sweet Chili Sauce! Made with the quantities below there is definitely more of a ‘kick’ to it! Put chillies, garlic, red peppers and ginger in a food processor with the salt, vinegar and water. Blitz to a pulp. Pour into a saucepan and heat gently, adding the sugar. Simmer for 20 – 30 minutes until the sauce has reduced by a third. Simple and yummy, and absolutely delicious with eggs! had some on toast this morning – nyom!